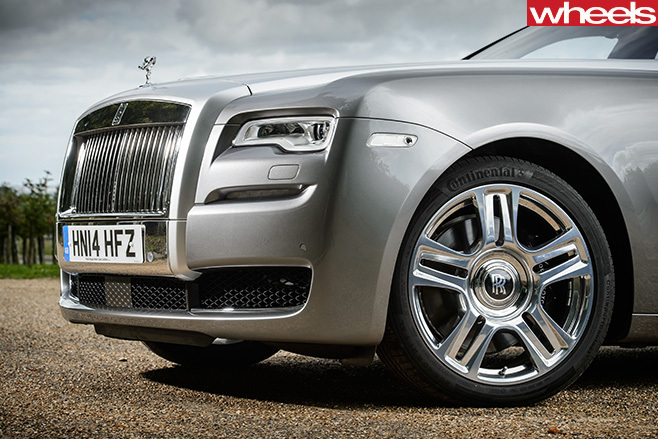 Just a weekend with a Rolls-Royce Ghost was a pain in the arse for Stahly. First published in the May 2016 issue of Wheels magazine, Australia’s most experienced and most trusted car magazine since 1953. I reflected, momentarily, that this hardly ever happens now that everyone’s got air-conditioning. Thankfully, my turn lane began to move and I drove away. I’m not sure why this stranger sought my attention. 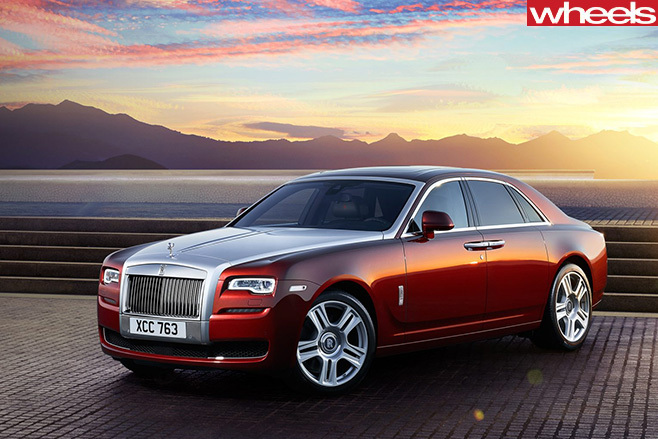 But I happened to be driving a Rolls-Royce Ghost II, finished in Commission Collection two-tone paint. Perhaps he contemplated rewarding himself with a similarly bespoke example. Or perhaps not, because spending a weekend with it was – for me at least – a pain in the arse. I’ve never understood really big cars. The only cars I’ve ever owned have ranged from smallish to comically tiny. It startles me to realise that I could be driving a good, used BMW E38 7 Series or Mercedes W220 S-class. Both are handsome cars that I remember well from new. But they seem to me like trilby hats and chest-high trousers. A lot more people of my parents’ age equate wheelbase with prestige. Besides, I’ve spent most of my working life being self-employed/unemployable, so I missed the whole Commodore-Calais-Statesman evolution. Only a year ago, I drove the Ghost’s two-door sister, the Rolls-Royce Wraith, down the NSW south coast. It was swift, serene and majestic on the open road. This time, family commitments kept me close to home. At the dealership, I agreed to park always undercover and to cop the first $5000 of at-fault damage. My mind focused on how much that equated to on a $740K car. Kerbing a wheel could render me a human write-off. The car’s ‘bird’s eye’ cameras helped with my five-point turn out of the dealer’s parking space. 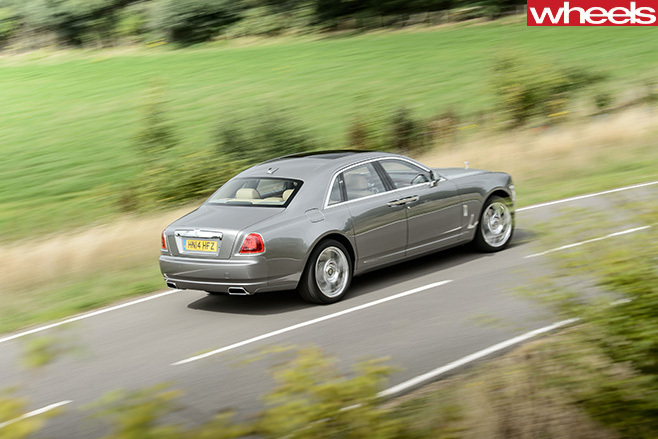 At 5.4m, the Ghost is only 160mm longer than its donor BMW 750Li, but it’s more than 600kg heavier. Its wheelbase is 255mm longer; a Suzuki Alto can almost park between its axles. The first stop was to collect one of the Stahlettes’ friends. She lives in an inner-city suburb with leafy plane trees overhanging quiet, narrow streets. Suddenly really narrow streets. When I did find an adequately long parking spot, I caught myself waiting for a tugboat to draw alongside. At the local shopping mall I steered clear of the usual, crowded underground parking station. I opted for a less-used station a few blocks away, where I knew I’d find adjoining spaces. I’d never noticed before that the entry to this place entailed a 90-degree turn, with tall kerbs each side and a sharp wall on my left. Negotiating this required another five-point turn, during which I had to jump out and calculate kerb heights and predict rear-wheel paths. Twirling at the steering wheel, I kept bumping the wiper stalk, located just below the gear selector. It was hardly serenity in motion. I was glad to get the Ghost home. Although my wife wasn’t, because our two-car garage demands a 90-degree entry from a narrow driveway; even reversing in, the Ghost’s long wheelbase precluded her car being there. 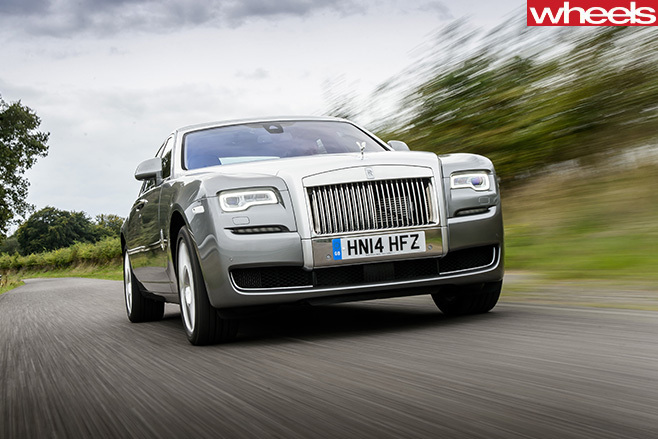 Right around this point you remind yourself that the Ghost is the (ahem) smaller, more agile, less ostentatious Rolls-Royce, aimed at the younger, sporting gentleman. I guess I’ll concede I don’t tick any of those boxes. It’s not just me who doesn’t ‘get’ luxury land yachts. Great though they are as bearers of new technology, in the past 15 years sales of the Mercedes S-Class and BMW 7 Series sedans have more than halved to a combined 424 units in 2015. Then again, there are more brands and niches in the market today. Rolls-Royce? They’ve had spectacular growth – from two deliveries in 2000 to 15 last year.